Beautiful Russian animalist artist Viktoria Markelova is passionate about painting horses and other animals. It all started long ago and surprisingly romantic. As a young girl, Viktoria Markelova once saw a horse and fell in love with this beautiful creature. Parents bought for her toy horses and pictures of horses, and Viktoria increasingly dreamed of these animals. Coming to visit her grandfather, an artist, Viktoria always asked him to draw a horse. She herself was gradually beginning to paint. Her first independent drawings of horses appeared after Viktoria was given a book “How to Draw a Horse” and she worked hard to repeat each picture until it was obtained. Seeing the success of the girl, the parents decided to help her. 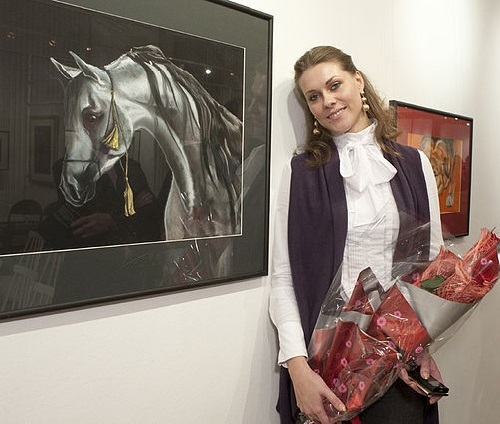 In 1994, Viktoria has successfully passed the entrance exams to the children’s art school in Prechistenka, Moscow. In art school, she spent four years and a topic for her thesis was, of course, the horses. On the black market sale of works of art – museum exhibits or stolen cultural property from private collections have long been a part of well-established and profitable business. The turnover of only the American underground art market is estimated by experts at six billion dollars. Not surprisingly, the world each year loses tens of thousands of paintings, sculptures, prints, collages. Forbes compiled a list of the ten most expensive stolen artworks, their fate remains a mystery. 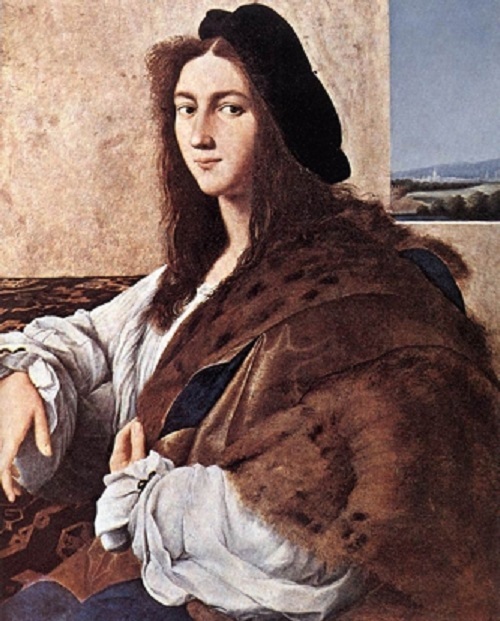 In the above picture – Raphael’s painting. It belonged to a noble Polish Czartoryski, was confiscated in 1939 by the Nazis. Shortly before the end of the Second World War picture came into the hands of the governor-general of occupied Poland Hans Frank. 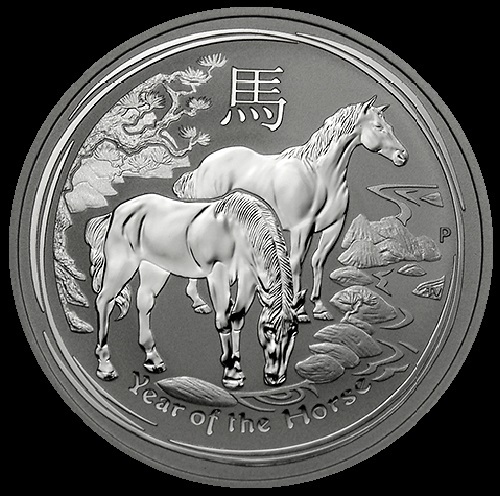 In 2012 it was reported that it is in a bank vault in either the U.S., or Europe. 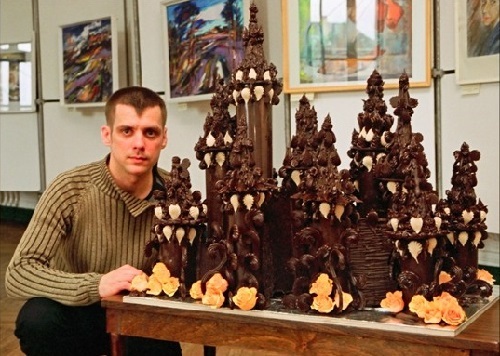 38 year-old Aldis Brichevs has more than 10 years of “chocolate experience”. He advises cooks, and in his free time in the studio mixes the chocolate molds and various goodies out of it, which then gives to children. Now Aldis has come to Moscow to become better acquainted with the famous palace in Tsaritsyno. Born into a large family – seven brothers and two sisters, his mother died when the boy was barely fifteen. His father started a new family. The remaining relatives told Aldis to feed himself – “you are not a disabled”. So, young Brichevs faced adulthood: cleaning barns, milking cows on a private farm … To the question “How did you become a pastry chef? ” – Aldis gives a very vital explanation: – As soon as I was left alone, had to constantly think about how to feed myself. The creative duo founded their art studio “AB” in 1999, in Tomsk. The company then specialized in creating interiors. 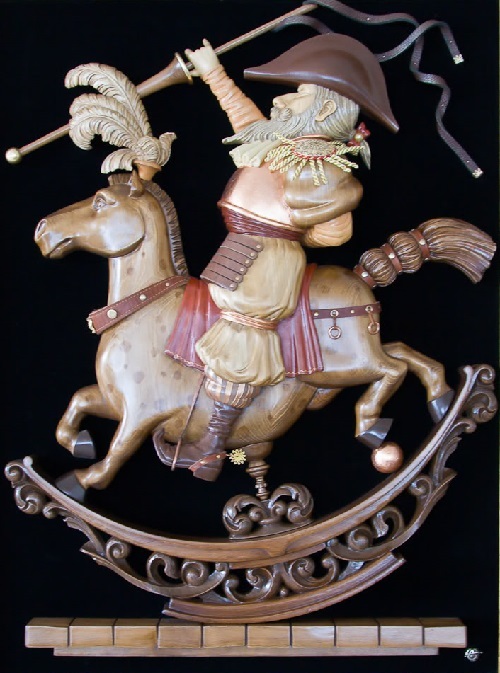 Now behind the laconic title “AB” lives the bizarre world of fantasy, turned into the real works of art. In the workshop “AB” it’s very cozy and interesting: an infinite number of tools for working with wood and not just carefully placed in cans buttons, rivets and even jewelry, cans of paint and varnish, but the main thing – decorative panels of wood, leather, glass and metal. “We do not follow global trends, we mix media and volume, young people looking at our work say it’s 3D pictures!” – Says Oleg. The level of fantasy of artists is difficult not to admire. Gold miniature artist Venkatesh is from Tamil Nadu state, India. 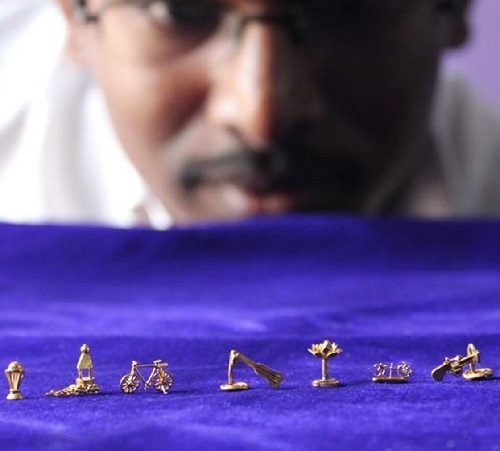 28-year-old Indian craftsman G Venkatesh has devoted himself to miniature art, and his ambition is to get into the Guinness Book of World Records. Venkatesh has spent three years on creating these painstaking sculptures, he began working on silver before progressing to the more precious metal. His gold gallery includes a working bicycle and cricket world cup trophy. He has carved the working models out of one gram of gold. All his artworks measure less than one centimeter – and need a magnifying glass to view in detail. 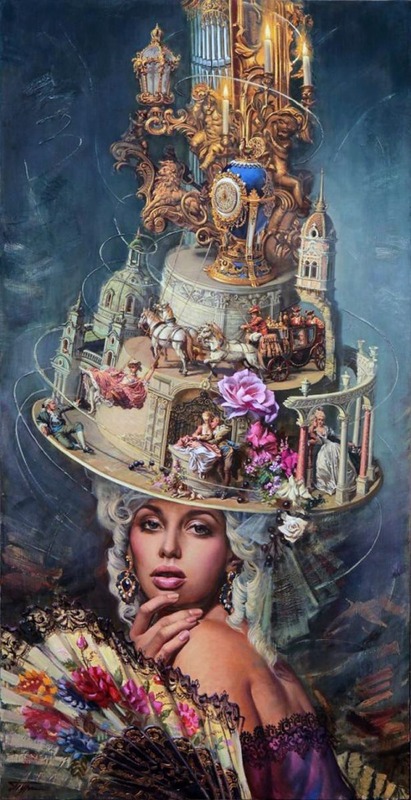 Born 29 June 1964 in Kishinev, Moldova, the USSR, Oleg Turkin (also known as Oleg Turchin) is a talented artist. According to Turkin, he became interested in drawing and painting in childhood. After graduating from children’s art school, in 1981, he entered the art school named after Shchusev. Then, he studied in Art Institute of Ilya Repin. Also, he graduated from the Institute of Arts, Faculty of Painting (1997). The genres of painting, in which Turkin works vary from realism to surrealism, landscapes, genre scenes, portraits and still life. Working with oil, the artist achieves a striking photographic clarity and sharpness. Most of these beautiful paintings are already in private collections of Russian and foreign art lovers. Particularly, in Moldova, Ukraine, Greece, Holland, USA, Turkey, and Italy.